Every year during the baseball playoffs, my son and I debate what we enjoy more: 1. Cheering for our favorite team to win; or 2. Cheering for the New York Yankees to lose. The Germans have a word, shadenfreude, which means taking delight in the misfortunes of others. Many philosophers consider feelings of shadenfreude to be the sign of a bad person, and I wonder whether I’m a bad person for delighting in the failures of the Yankees and for encouraging my son’s shadenfreude when he once said he liked Yankees shortstop Derek Jeter and I told him Jeter never calls his mom on Mother’s Day. Brussels sprouts versus dessert–How would you feel if your friends invited you to dinner and as soon as you sat down their kids start whining, “Aww, man, I hate Paul. 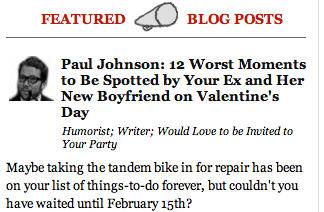 Not Paul again. Why do we always have to have Paul at dinner?” That’s how brussels sprouts feel. Zombies versus boarded up windows and doors–Why do we cheer for the boards to win instead of cheering for the zombies? Are we forgetting we share much more in common with zombies than boards since zombies used to be human? Shouldn’t an undead human still be smarter than a board? Fire hydrants versus dogs–Those fire hydrants are there to save us in case of emergency, yet we do nothing when dog after dog lifts a leg to disrespect them. Some day fire hydrants will start spraying back! The humans in Jurassic Park versus the dinosaurs–I don’t remember a single human ever killing a dinosaur in any of the three movies while the dinosaurs must have killed dozens. How could they be so much smarter than we are if they went extinct and we were smart enough to bring them back? Our other enemies may see these movies and become convinced humans are weak and could be easily conquered. Sidewalks versus ice cream–Scoops of ice cream have been falling off cones and onto sidewalks unprov0ked for years, leaving behind a sticky mess. The time of the sidewalk to rise up has come! The Feds in the movies versus everyone else–The FBI, CIA, or military always seem to come in and mess everything up after ignoring the warnings of the small town cops investigating the supernatural or the local group of children who discovered the alien. Just once I’d like the government to save the day and the townspeople bake a pie for those Feds who are just doing their jobs and probably miss their families while they’re traveling. Windows versus baseballs–The score is a million to nothing in favor of baseballs. We owe windows a debt of gratitude for letting in sunlight and allowing us to spy on our neighbors. Just once I’d like to see a window break a baseball. If we allow babies to literally crap on diapers, can we be surprised when they figuratively crap on people? Draco Malfoy versus Harry Potter–I know we’re all supposed to root for Harry Potter because he was battling Voldemort, but if I’d gone to school with him, I’m pretty sure I would have hated him, too. Harry always won the house cup, the Quidditch Cup, and was constantly defeating the darkest wizard in history. If Draco were my son, I would tell him to try setting himself apart by being the class clown. And if that didn’t work, try participating in a plot to kill the headmaster, Dumbledore. Tom and Jerry–Optimist Prime used to get teary-eyed whenever he watched Tom and Jerry because he felt Tom was getting such a bad deal. Tom was just doing his job trying to keep the house free of rodents–many of which carry disease–and he was constantly threatened with unemployment and the loss of his home if he failed to catch Jerry, yet we laugh when Jerry hits Tom with a frying pan. Diapers versus babies–If we’re trying to teach our kids the Golden Rule, why do we allow our babies to treat diapers in a way we’d never allow diapers to treat our babies? Last night I got to do both…being a Detroit Tigers’ fan is like being on a roller coaster that you know has derailed more than once with disastrous results, but you MIGHT make it to the end of the ride, and you will celebrate when (if) you do. Any team but the Yankees, and I adore brussel sprouts, zombies, and the use of diapers. Just went to see the movie “Moneyball” last night ….. you should take OP to see that! Talk about the smallest Mkt underdog team! I’m looking forward to seeing Moneyball when it comes here. I enjoyed the book and grew up an Oakland A’s fan in the Bay area. Brad Pitt does a great job of playing the roll of Billy Beane but I think the real kudos goes to Jonah Hill who plays the asst. GM that he hired. I would see it again in a minute. I’ve always felt a little jaded toward dinosaurs because we’ve worked so hard to bring them back in DNA experiments but there is not a shred of fossil evidence that a single dinosaur tried to bring us from the future through time travel or some sort of mammal breeding program. I can honestly say I’ve never punished ANYTHING so harshly as my kid does his diaper. I always rooted for the nail. Not only does the noble nail hold our housing together, but those rotten hammers have mashed my fingers countless times. Ditto screwdrivers – there’s more of my DNA on screwdrivers in my tool grip than on all the screws in my folks’ house I personally tightened. People write songs about the hammer or rappers name themselves Hammer, but when is the nail going to get some credit for keeping the hammers work together? The universe vs. gum. I was going to limit the battle to just the sidewalk vs. gum. Much like ice cream claiming spots left and right on the sidewalk, gum does the same thing. And though a good rain will remove any ice cream evidence, the gum prevails. In fact, I think gum on a sidewalk will outlive cockroaches. But again, I pitted gum against the universe, because the shoe is another underdog/victim of gum. A sticky mess that makes a sticky sound with every step, while simultaneously picking up pieces of dirt, hair and other muck. Your shoe ends up with a wad of gum on the bottom, combined with traces of your travels stuck on it. And what about hair? Peanut butter does not remove gum from hair – it merely makes your hair more appealing to dogs. Gum. The overdog that must be taken down. I’ll let you chew on that for awhile. I absolutely hate gum and can second all your reasoning. We put up with way too much from gum. It’s time for the shoes of the world to unite and say enough is enough! Shoes must refuse to carry people to the store if they insist on buying more gum. 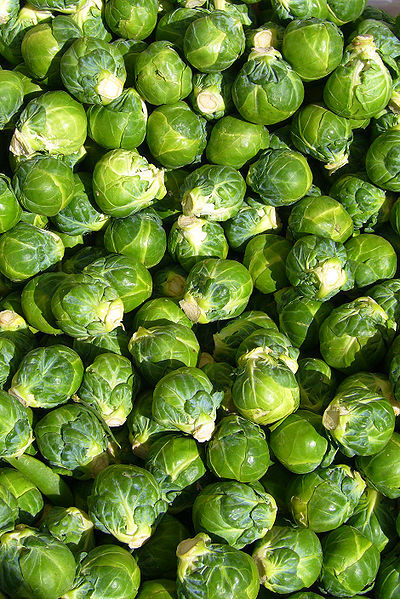 What if the Yankees started endorsing brussels sprouts? That would truly place me in a paradoxical moral dilemma. I hope this means somebody has to give me a bunch of money. But really, it’s a moot point. It’s football season. Who cares about baseball? If I lived in New York I would be a Mets, Nets, and Jets fan. I like your rhyming philosophy. Choosing a set of teams that rhyme make it pretty easy to remember who you’re supposed to be rooting for. People vs. everyone Simon Cowell talks to. He makes everybody seem like an underdog. Living in Miami- must pull for the Marlins but love my Yankees. Not gonna be there this year. I understand the Yankee haters. Esp for that payroll. But anyone who gets to the pros can be as good as the next guy no matter what the salary. But playing for the New York Yankees is the most stressful and demanding of an athlete in all sports. That’s because you are supposed to win the whole thing every year and if you don’t it means unforgivable failure and disgrace. No other team faces that . I always felt sorry for Tom, too. Hubby’s remote button always stops for Jurassic Park. I’m all for the dinosaurs in that one. Yankee fans are awfully smug, and when there are home games, my train back from work is packed full of them, drunkenly re-telling as much of the game, as loudly as possible. There are a nearly equal number of Mets fans for those home games on my train. They are also drunk and mostly angry for the lack of winning. I always felt bad for Tom too and preferred the few episodes where they were friends. Hey, am I the only one here who likes brussels sprouts? I had the opportunity to try a brussels sprout not too long ago, and it wasn’t as bad as I expected after years of hearing all the negativity about them. I always rooted for Sylvester (vs Teety) and the Coyote (vs Roadrunner). The hubs and I feel that we have perfected our parenting skills as we have passed down to our oldest son our absolute and total hatred of the Yankees and the Steelers. He can route for any other team he wants, not necessarily the home team, but those 2 are absolutely off limits for his fandom. He has so far taken to this tutorial marvelously. I believe I am due for that parenting nobel prize now, si? Also, I love brussels sprouts. But my kids face every dinner with that same rant about not wanting whatever I make for dinner. And I never make them brussels sprouts. See, told you I’m mom of the year.